Israel traces its roots to the Jordan Valley, where the nation’s eastern line of defense begins. If Israel is not there “Iran will be,” Prime Minister Benjamin Netanyahu said on Oct. 19. 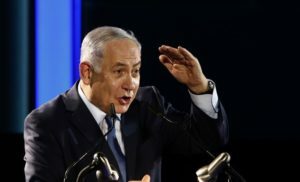 “We will not allow this to happen,” Netanyahu said during an event marking the 50th anniversary of the liberation of the Jordan Valley.